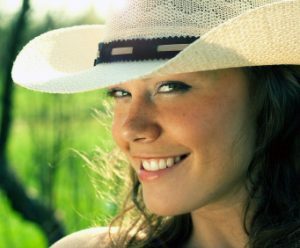 DID YOU KNOW THAT YOU CAN KEEP YOUR SMILE WHITE AND NATURAL-LOOKING, even AFTER dental work? If you’re embarrassed about your smile because of decay or dark dental fillings in your teeth, you may be a good candidate for composite resins, or tooth-colored fillings. A silicon dioxide-filled, tooth-colored plastic mixture, composite resins can restore teeth to an attractive, healthy state. Composite resins represent several advantages over traditional silver, or amalgam, dental fillings. Because composite resins are not made of metal, we can blend and mix shades to find the perfect color to match your natural teeth. This means only you and your dentist will know you have dental fillings. Another pro is that the tooth/composite bond actually supports the remaining tooth structure, deterring breakage and insulating against temperature changes. Medium and small composites can last seven to ten years – that’s as long as the tried and true amalgams. Best of all, white fillings allow us to keep more of your natural tooth structure intact than amalgams. We believe in conservative dentistry – the more natural tooth structure you keep, the better teeth you’ll likely have in the future. Some patients experience mild and temporary post-placement sensitivity from tooth-colored fillings. The only caution we usually mention is that coffee, tea, and other staining foods and beverages may discolor your white fillings unless you ask to have them coated with a clear plastic sealant. If your smile is riddled with silver/amalgam dental fillings and you’d prefer an all-white smile, we can replace your dark dental fillingswith composite resin or white fillings. You deserve a healthy and beautiful smile. In Staten Island, New York, Dr. Hecht can deliver!